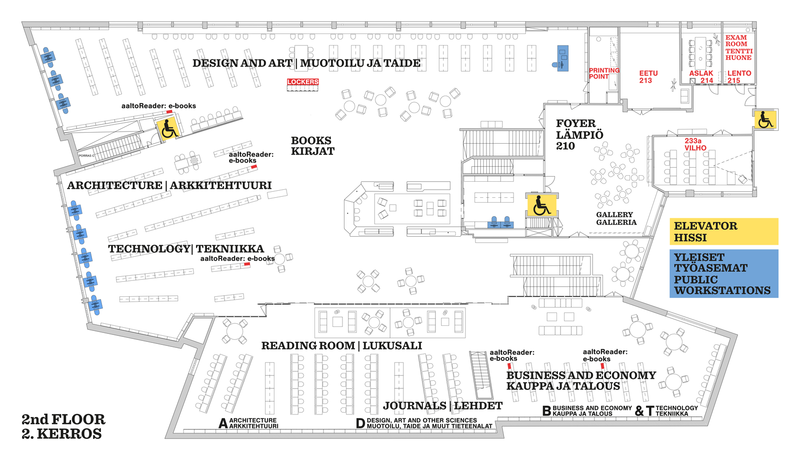 Our main location in the heart of Otaniemi campus, with a variety of spaces, services and opportunities for Aalto students, faculty and visitors. The historical library building has its services and facilities at three floors. You are free to take photographs in the premises. 1st floor is the entrance floor to the facilities. There are three entries to the building. The main customer service point is located in the main lobby. Tori is the name of another completely new space on this floor that is complemented by the cafe. 2nd floor is the home of most of our print book and journal collections. 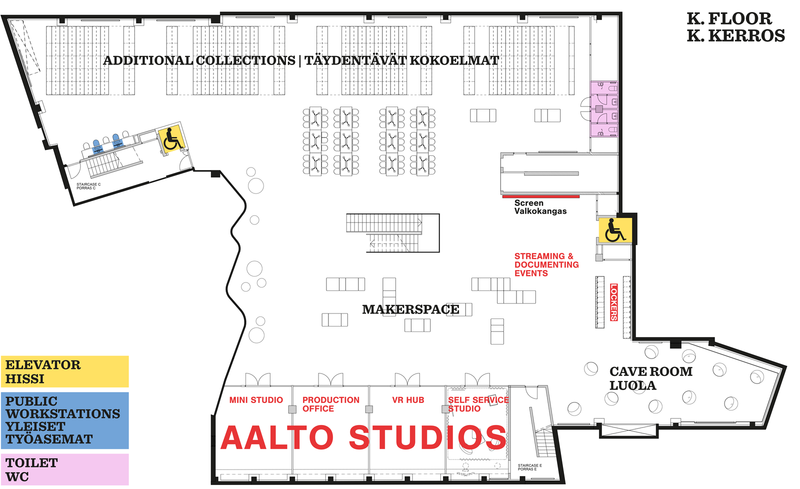 K floor is completely renewed and the biggest space there is called Makerspace that is surrounded by workshop facilities. Also some of our books and archives are located there. 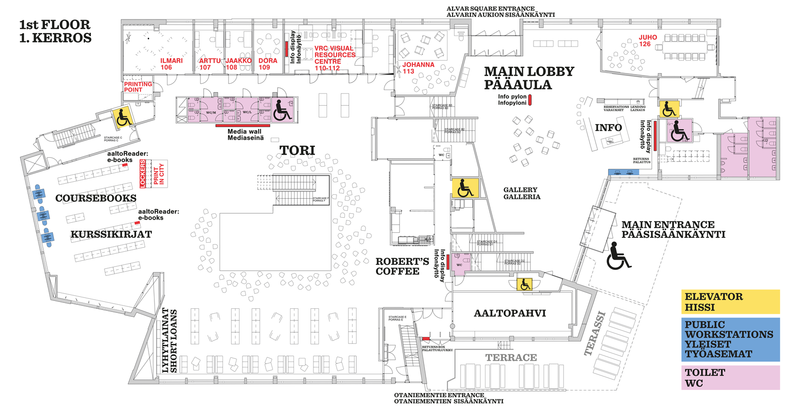 With the exception of the customer service main lobby, the 1st floor and the K floor are open for Aalto students & staff every day 7.00–24.00 regardless of the opening hours. The first floor Tori and the lower floor K are open every day 7-24. Outside the building's opening hours only Aalto University students and staff can enter the premises with an activated access.